Insurance marketers have been dealt a challenging hand. Unlike high transaction frequency industries such as retail, you typically have very few interactions with their members. When interactions do happen, they are on inbound channels such as a call centre, website or mobile app at the time of the member’s choosing. The most common type of interactions are new applications, policy changes, renewals or claims. 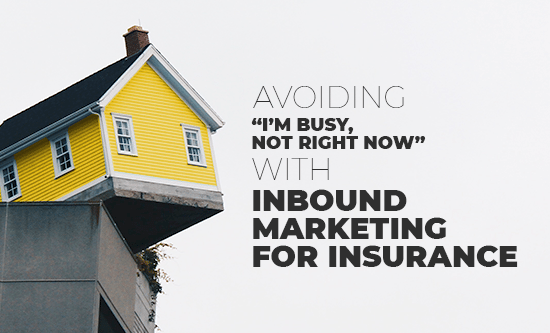 It’s important that the insurance marketer makes the most of these fleeting moments, but does so in a cautious and mindful way. Managed correctly, you’ll be able to help your member move towards their next goal; managed poorly, you’ll risk missing an opportunities to lift engagement, or risk provoking frustration. Let’s face it, insurance is not the most exciting consumer product. 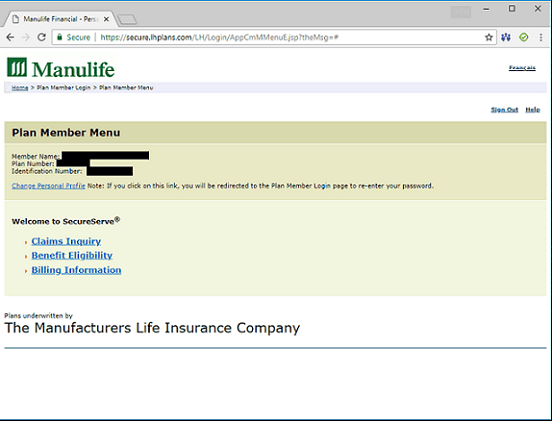 If a member is investing their time to login to an insurer’s self-service portal, they likely have a specific urgent need to fulfill (e.g. filing a claim) and they are temporarily narrowly focused on achieving that goal. Customer experience teams work hard to make self-service tools as intuitive and as empowering for the user as possible. At best, we can hope that visitors experience the “flow”¹ state popularized by Mihaly Csikszentmihalyi, a leading psychologist. In this case, users are fully immersed in the task, and the payoff for a successfully completed interaction is an engaged and satisfied customer that is willing to consider new interactions that align with your retention or revenue growth objectives. Yet, the temptation to interrupt members in the flow with cross-selling offers is high, as marketers seek to make the most of precious and ephemeral inbound marketing opportunities. 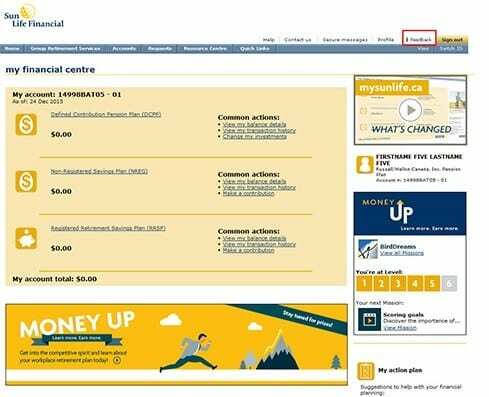 Unfortunately, the end result often a number of competing banners that distracts the member from their task at hand, as shown in Sun Life financial’s member portal² circa 2014 (see example below). Banners, alerts, nudges or other interruptions can be a great way of keeping the member in the flow, especially if some kind of friction is detected during the session. These are opportunities to strengthen your relationship with the member, by detecting and offering to assist them with any problems they have with completing their task. Instead, if you take this opportunity to flash blinking cross-sell offers at them, at best, you’ll get a negative response such as: “I’m busy” or “not right now”. 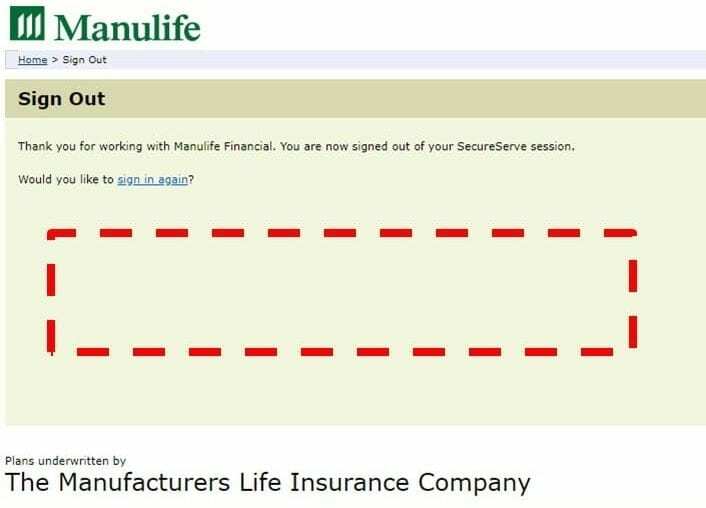 It’s possible to arrive at the opposite case as well, as shown with Manulife’s individual plan portal experience³ (see figure below). In this example, the user experience is a spartan utilitarian affair, with no personalized messages to assist with the task at hand, or to suggest new relevant interactions when the member is ready. A lack of interactions on this important inbound channel creates a gap that is challenging to fill with outbound channels like email alone. Although it might seem counterintuitive at first, one technique I have seen to be particularly effective at generating improved response rates is to wait until the member logs out. The logout screen can be a clear point of delineation where the member has completed their original task and is open to considering the next interaction (although other techniques are possible). As an example, once logged off, this might be an excellent opportunity to provide information about wealth management products, or to offer educational resources on products that the member recently showed interest in as suggested by their web clickstream. What’s the most appropriate message for each individual will depend on what life cycle stage (i.e. on-boarding, growth, retention, win-back) they are currently in, as well as their unique personal situation. Sadly, many logout screens look similar to the one above: a vacant missed opportunity for marketers. It’s no secret that insurance is a sector that is wrapped in immense change. Appropriately, it’s no surprise that leaders of major insurers are driving advancement with calls to “embrace technology that will allow it to focus on simple, intuitive customer experiences”⁵. Providing a curated and personalized experience frequently means saying less to the customer (not more) and focusing on what is the right message at the right time and in the right place. 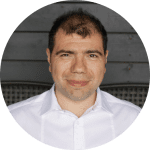 The decision on what is the most appropriate next message often needs to be made in milliseconds and typically requires the adoption of specialized inbound marketing tools and skill sets (for example, uDecide solution and services). At Digital Alchemy, we believe inbound marketing tools are most effective when wrapped around by a comprehensive Customer Engagement Framework, which considers each member’s current position in their marketing lifecycle, as well as their unique individual behavioural motivational profile. Paired together, we believe this is a winning strategy to move from “slow”, “complicated”, “confusing” and “impersonal” experiences to relevant, personalized and helpful member engaging experiences. by Joe Maraschiello, Business Development & Region Director at Digital Alchemy.